Did I plan out my pages to fit the cover boards? 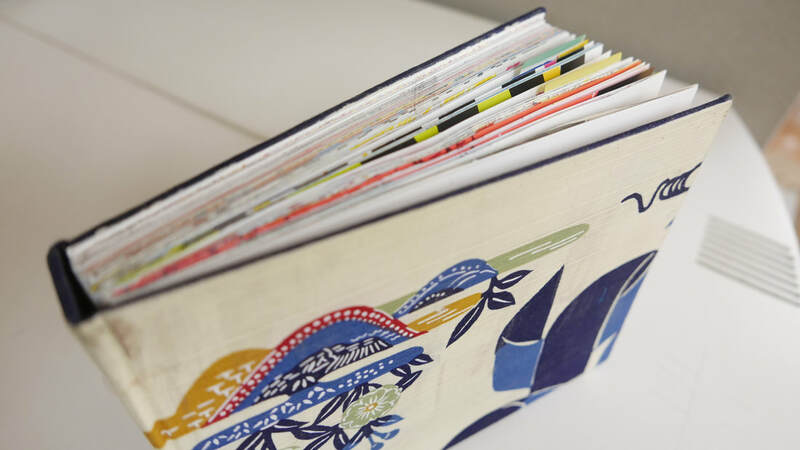 Have I sewn the signatures tightly enough the book will be strong and long-lasting? Did I do something beyond the minimum requirements? Did I remember to print the title on the bookcover? This is a stack of five signatures. Each signature in this book will have ten pieces of paper. 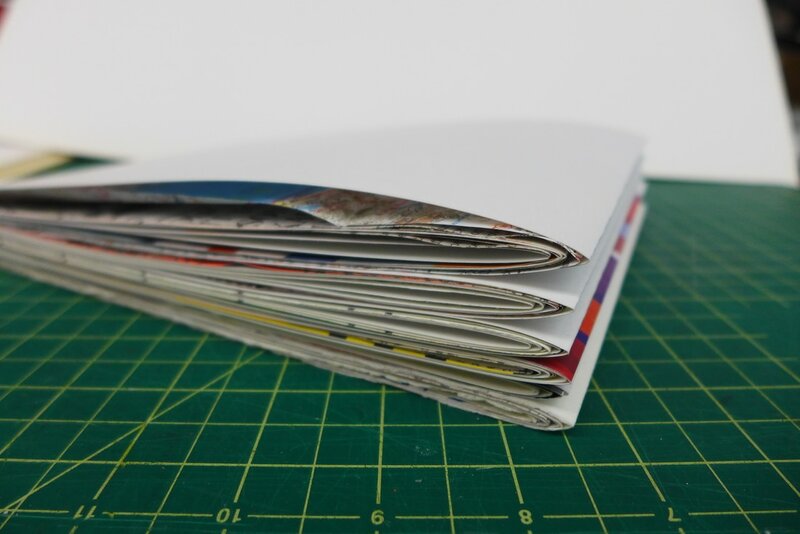 That makes a book of 200 pages or 100 spreads. Binding tapes hold the signatures in alignment. They are often made of linen fabric, but they could be any sturdy material, from ribbon to cord. You will be sewing the signatures together using thread. 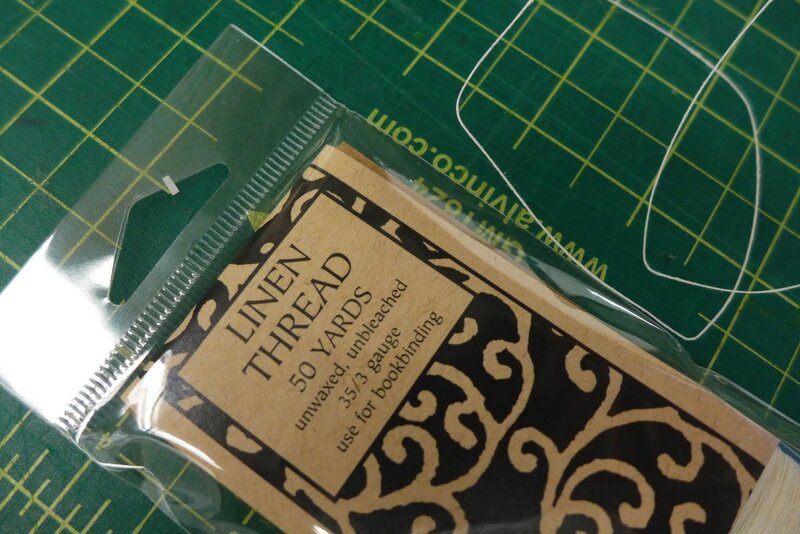 Linen thread is a traditional choice, but any sturdy thread will work. 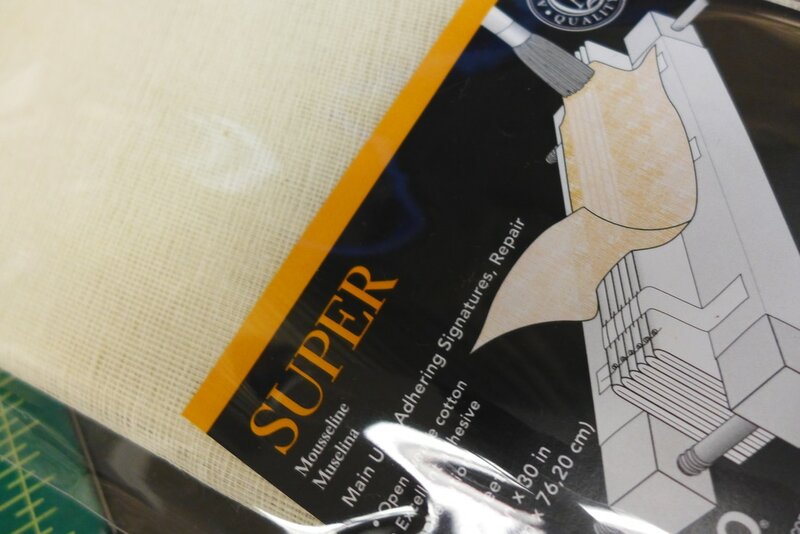 Super is glued to the spine of the signatures. This cheesecloth-like fabric is what helps support the thread and tapes holding the signatures into the cover. 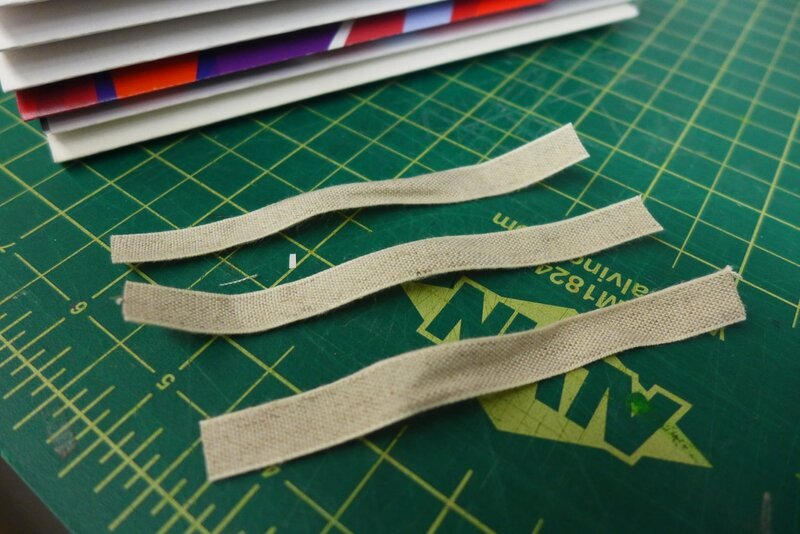 Make sure you pull the thread tight after each signature, so that the book ends up square. Use awls or t-pins to pierce holes in the signatures. Starting from the outside of the signatures going in, sew across the first signature, placing tapes underneath the thread as it runs across the spine. When you get to the end of one signature, make sure you tighten the thread. Each signature should be tied to the last signature on each end.